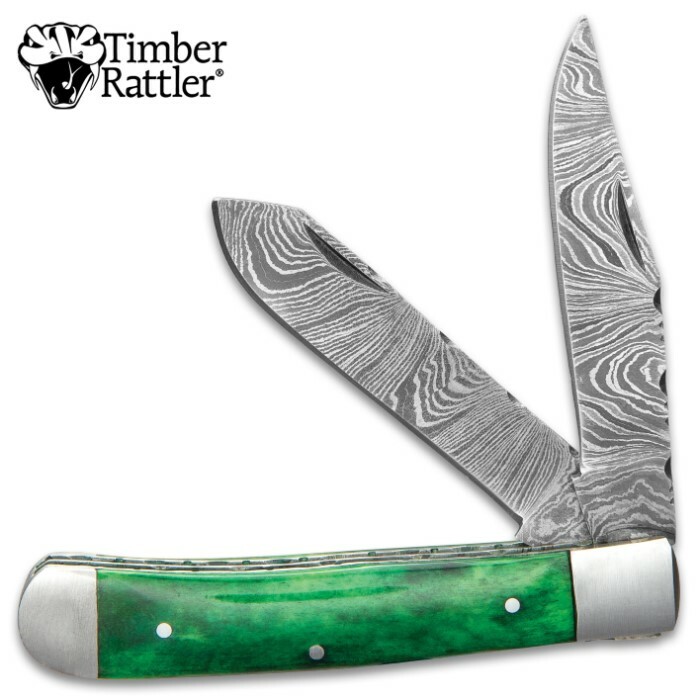 Timber Rattler’s Rain Forest Pocket Knife has that unique patterning that only genuine dyed bone gives you. The variegated green brings to mind the atmosphere under the canopy of the Brazilian rain forest. 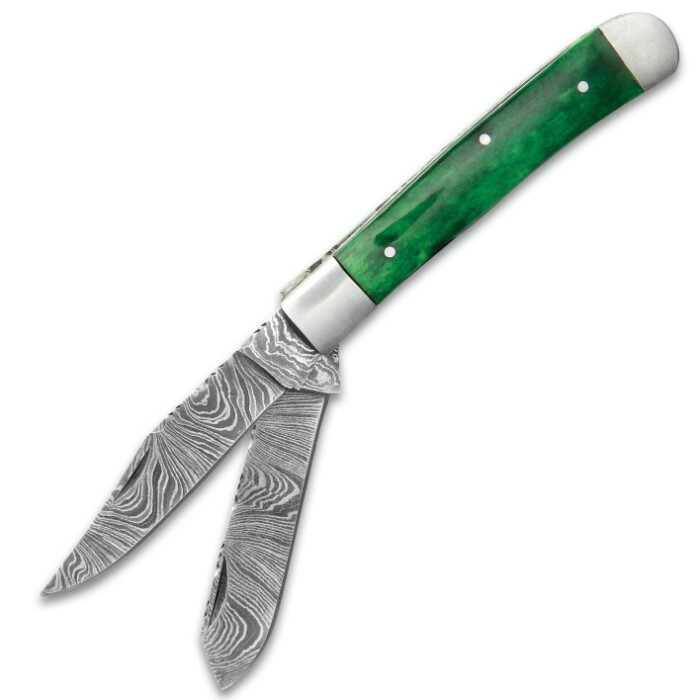 The pocket knife has two razor-sharp, Damascus steel blades, both with nail nicks, for a smooth and easy opening. 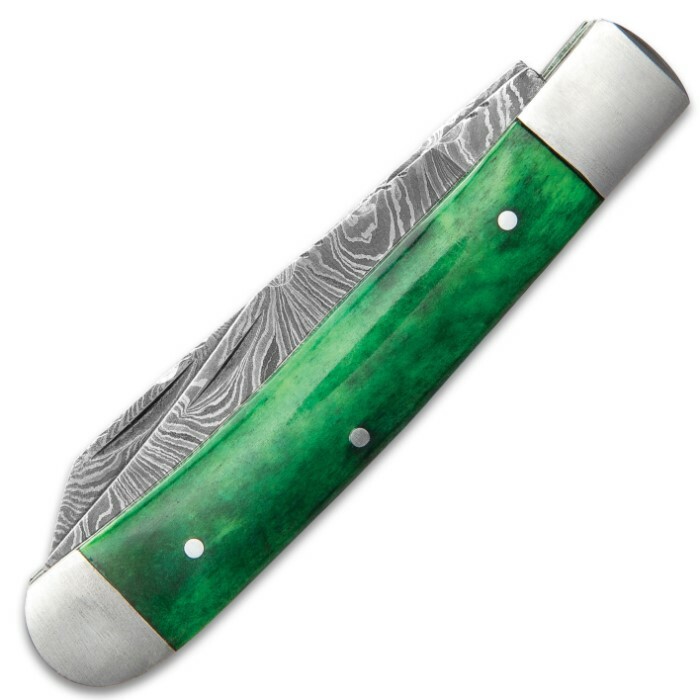 The handle scales are a mottled green bone and are secured by stainless steel pins, which complement the stainless bolsters. The pocket knife is 4” when closed and features intricate fileworked liners, which complement the filework on the blades.